Do you love what you see in the mirror every day and just can’t imagine how your reflection can possibly improve? If so, this book isn’t for you. But if you struggle with your relationship with the mirror, you are not alone and this book can help. Do you feel ugly, unhappy and alone? Dawn Shaw can relate. Growing up with half her face nearly paralyzed, she could easily have found herself where Lizzie Velasquez did: labeled as “the ugliest woman on the internet.” Spared that distinction, Dawn nonetheless has experienced bullying, insecurity and rejection. When surgeries failed to significantly improve her damaged face, the mirror became a painful reminder of her difference. 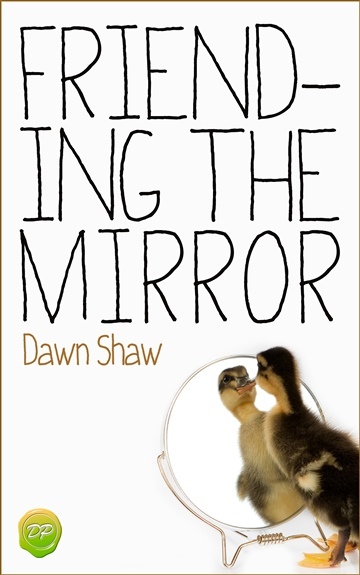 Friending the Mirror will help you overcome your fear and self-doubt so you can find your beauty, as both Lizzie and Dawn have been able to do; opting for a productive life full of activity, exploration and opportunity rather than living in isolation and misery. You, too, can enjoy a happier reflection.